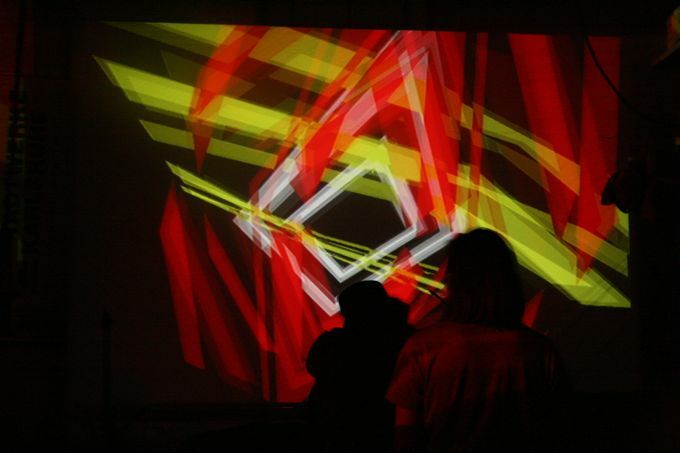 sinsynplus starts vjing and visual arts back in 2001, working with slide projectors and videodecks. always evolving in hardware and software he is nowadays working completely digital, exploring new techniques and devices like integrating iphone, wiimote and sensor data, programming his own modules and plugins and working on multiscreen setups to push vjing onto the next level. his style combines graphical elements, interactive, generative, audio-reactive code and real-time manipulated 3D models to an unique visual language. sinsynplus, studying media art at the academy of fine arts and working with the postproduction company greenpost in munich is co-founder of the visual crews shado sinfusion synkretistem and kopffuessler.org. This entry was posted in sinsynplus, Visuals and tagged kopffuessler.org, shado, sinsynplus, Visuals, vj, vj booking.